Cathy Harris, Manager Cathy has worked in the Early Years sector since 1994 across a variety of roles including child-minder, nanny and nursery nurse. 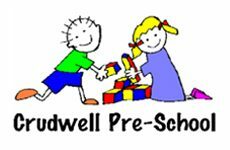 She has worked at Crudwell Pre-School since April 2012 and was promoted to Manager In September 2014. Cathy has a Level 3 Diploma for the Children and Young People’s Workforce and is Makaton and SEND trained. Cathy is our Designated Safeguarding Lead and is trained to an advanced level. She is now studying towards her degree in Early Years. Cathy is fantastic at engaging the children and loves her job! She is also a Mum to three girls aged 18, 13 and 10. Jo Hibbard, Early Years Practitioner Jo joined Crudwell Preschool in 2011 as an Early Years Practitioner. She qualified under the National Nursery Examination Board after leaving school and worked for the next ten years as a nanny for 3 families and in a private nursery. She then took a break to have her 3 children who are aged 13 and 10 year old twins. Jo is first aid trained and is also our Health and Safety Officer. Jo is well organised and really enjoys playing with the children. 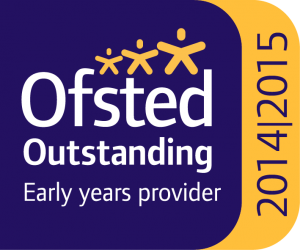 Katie Haines, Early Years Practitioner Katie has worked in the Early years sector for 8 years. She joined us in January 2015 and is now completing a level 3 Early Years Educator qualification. Katie is also SENCO of Crudwell Pre-School. Katie is a Mum to 2 daughters, 1 son and a very enthusiastic member of the team.